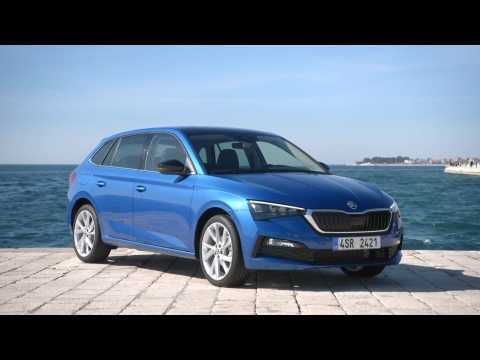 Home > Essai Skoda Scala : qu'a Scala de plus ? La berline compacte tchèque débarque au sein d'une catégorie où la concurrence ne manque pas. Mais elle y joue crânement sa chance. Škoda has completely redefined its compact car segment with the Scala. As the name suggests the brand is aiming high with the new Škoda Scala: the word 'Scala' comes from Latin and means 'stairs', 'ladder' or 'scale'. By incorporating new technology, an emotive design, a high degree of functionality and state-of-the-art connectivity, the new Škoda Scala is taking more than just one development step at a time - and is also setting new benchmarks in the compact segment. The Scala is available with a selection of five engine variants featuring power outputs from 66 kW (90 PS) to 110 kW (150 PS), a high level of active and passive safety, as well as full LED headlights and tail lights. Added to this is plenty of space for luggage and passengers as well as a wealth of Simply Clever features - making it a true Škoda. Škoda has completely redefined its compact car segment with the Scala. As the name suggests the brand is aiming high with the new Škoda Scala: the word 'Scala' comes from Latin and means 'stairs', 'ladder' or 'scale'. By incorporating new technology, an emotive design, a high degree of functionality and state-of-the-art connectivity, the new Škoda Scala is taking more than just one development step at a time - and is also setting new benchmarks in the compact segment. The Scala is available with a selection of five engine variants featuring power outputs from 66 kW (90 PS) to 110 kW (150 PS), a high level of active and passive safety, as well as full LED headlights and tail lights. Added to this is plenty of space for luggage and passengers as well as a wealth of Simply Clever features - making it a true Škoda. Škoda is offering the new Scala with a choice of five modern turbocharged direct-injection engines, which all fulfil the strictest Euro 6d-TEMP emissions standard. Customers have a choice of three petrol engines with cylinder capacities of 1.0 or 1.5 l, a 1.6-litre diesel as well as a 1.0 G-TEC that is set to follow in the fourth quarter of 2019 and designed to run on eco-friendly natural gas (CNG). In addition to the standard chassis, Škoda is offering the Scala with a Rough-Road package, which provides greater ground clearance, as well as with Sport Chassis Control, which allows the driver to switch between two chassis settings at the touch of a button. Škoda has completely redefined its compact car segment with the Scala. As the name suggests the brand is aiming high with the new Škoda Scala: the word 'Scala' comes from Latin and means 'stairs', 'ladder' or 'scale'. By incorporating new technology, an emotive design, a high degree of functionality and state-of-the-art connectivity, the new Škoda Scala is taking more than just one development step at a time - and is also setting new benchmarks in the compact segment. The Scala is available with a selection of five engine variants featuring power outputs from 66 kW (90 PS) to 110 kW (150 PS), a high level of active and passive safety, as well as full LED headlights and tail lights. Added to this is plenty of space for luggage and passengers as well as a wealth of Simply Clever features - making it a true Škoda. The optional Sport Chassis Control makes its debut at Škoda in the new Scala; the sporty chassis is 15 mm lower than the standard version and can be set to Normal or Sport using Driving Mode Select. Three TSI petrol engines with cylinder capacities of 1.0 or 1.5 l and a 1.6-litre TDI offer power outputs from 70 to 110 kW (95 to 150 PS); a 1.0 G-TEC producing 66 kW (90 PS) is set to follow in the fourth quarter of 2019 and is designed to run on environmentally friendly natural gas (CNG). They all fulfil the Euro 6d-TEMP emissions standard and can be coupled with a manual gearbox (5- or 6-speed) or a 7-speed DSG. 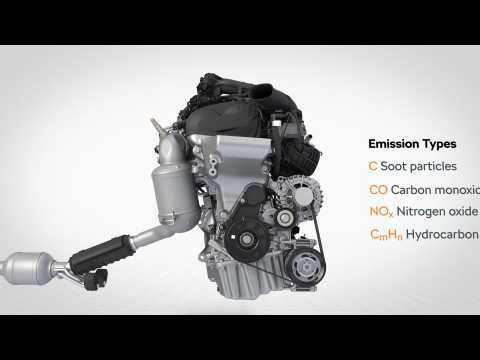 All of the petrol engines are equipped with a petrol particulate filter. The 1.6 TDI is fitted with a diesel particulate filter.